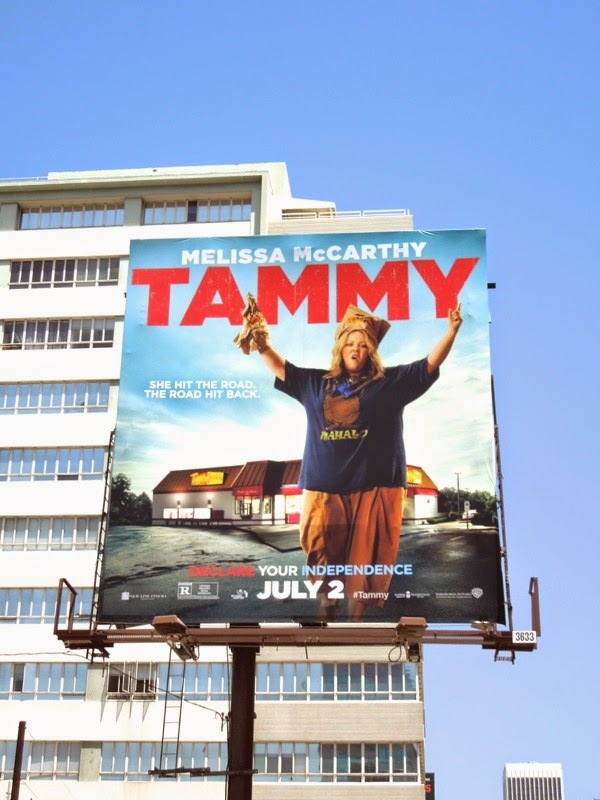 What do you do when you lose your fast food restaurant job and discover your husband is cheating on you? You get the hell out of dodge on a road trip with your potty-mouthed, hard-drinking grandmother, that's what, and get into all kinds of trouble by the looks of things. 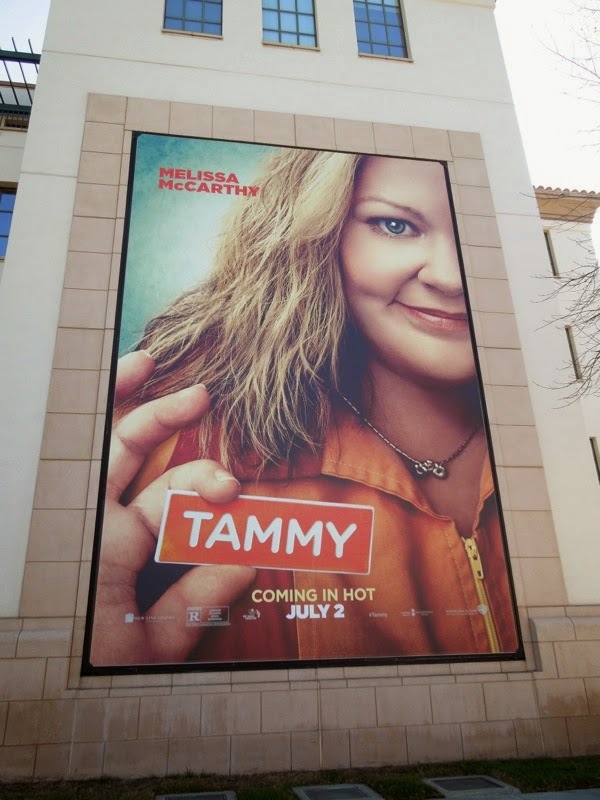 That's the premise of Melissa McCarthy's new Summer comedy, Tammy, and this time it's co-written by the actress and her husband, Ben Falcone, who's also on directing duties. Along for the R-Rated ride as her alcoholic grandmother is Susan Sarandon, who's no stranger to all-women road trips having starred in 1991's iconic Thelma & Louise. 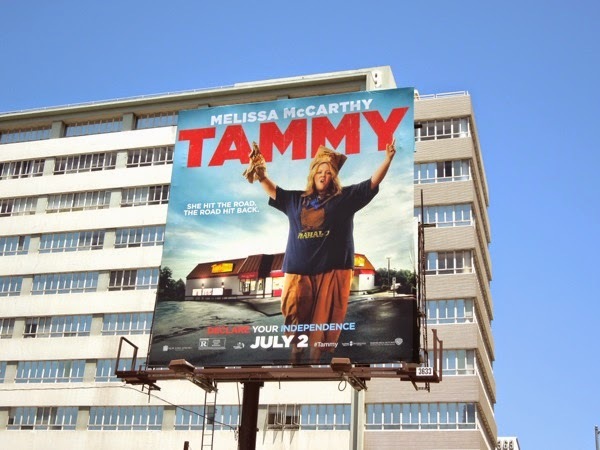 The portrait 'name badge' teaser billboard for Tammy was spotted at Warner Bros. Studios in Burbank, California on April 5, whilst the suitably 'white trash' square ad creative was spied along Wilshire Boulevard on June 9 and standard landscape billboards snapped along Melrose Avenue and La Brea Avenue on June 11, 2014. 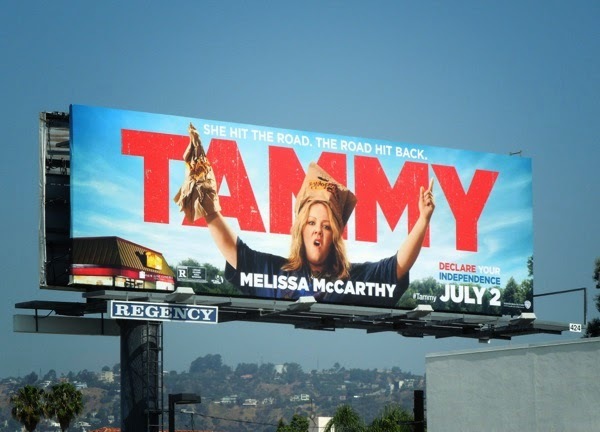 If you're a fan of the actress, be sure to check out the many faces of Melissa McCarthy in these billboards for The Heat with Sandra Bullock, Identity Thief movie billboards with Jason Bateman, Bridesmaids movie billboards and with Billy Gardell for their CBS TV sitcom Mike & Molly. 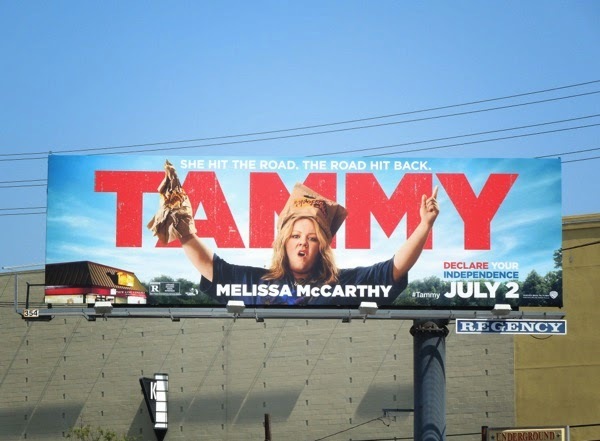 Get ready, Tammy's about to hit the road and the road's about to hit back.